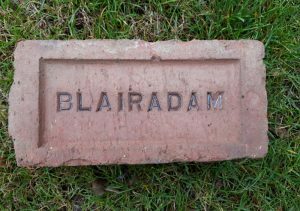 The following transcript is from an oral interview taken by Margaret Bennett from Marion Kelly who used to work at the Blairadam brickworks. This was taken as part of the Grace Notes Scotland project. Grace Notes Scotland is dedicated to identifying and handing on traditions to new generations. All of our projects document (whether in written or oral form), conserve, nurture and promote Scotland’s languages and dialects, traditions and skills, oral history, songs, tunes and stories. MK: Blairadam. It’s closed now. I think all the brickworks are closed aren’t they? MB: Yes, was that quite a novelty to you, having dungarees? really wear trousers just as much as they did at that time. MB: It was always dresses and skirts, wasn’t it? MB: Was that like a mould? MB: What did they feel like, they were heavy then? MK: They were heavy and soft. MK: They were actually soft and black. MB: Now if you lifted them would you make fingerprints in them? MK: I suppose you could have made fingerprints in them. MB: If you squeezed too hard? MB: Yes, and did you do that with your bare hands? no with your bare hands? MB: You must have handled thousands a day? you know the … in there? MB: Were the bricks stamped? MB: Yes, with a stamp on each one? MK: Mrs Adam has one at her door up at Blairadam house …. 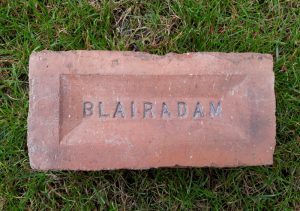 MB: Where is Blairadam in relation to here in Kelty? MB: Were you living in this house then? MB: Not so far and did you walk to work? MB: How long did that take in the morning? MB: Yes, it was over a mile then? MB: Was it dirty work? MB: Yes, and would you leave the dungarees there or change? MB: To be standing all day? she got it for us, she went to the shop and got everybody’s stuff. MB: And did you all sit in the bothy for the tea? MB: A tea break. Do you mean you worked straight through and no lunch? MB: Did you not do that? MK: And then she would bring you a biscuit …. MB: Did you have a favourite piece that you made? MB: In the special tin they used to have to take down the pit? MB: Yes, maybe he needed a bit of energy. And water or tea? MB: Maybe dusty though. Was it dusty in the brickworks? MB: Like a conveyor belt? MB: Wouldn’t you know! And did you get chance to chat while you were working? the kiln, now they’re putting them in, what about the ones taking them out ….? MB: And working in the kiln now that would be quite warm? MK: That was just out in the open. MB: Out in the open! MB: In the winter as well? MB: Oh Marion were you not freezing? MB: Cause you were busy? MB: So if it’s in the open, what about when it was raining? MB: Gosh and get drookit? MB: No, the sun shone then. And I hope the pay was reasonable? MB: Well it was quite a nice gesture, or a nice surprise. It would always come in handy? MB: That would have been what, thirty, forty years ago, or more? MB: Maybe fifty years ago? MB: Well in that case its sixty odd years ago? you think so. I believe you’d be tired at night? MB: We always had mending to do, didn’t we? MK: Now they just get thrown out. you want to ask anything, Lynn? L? : Was it like hard going out like every day? MB: And you were still working when you were pregnant? MB: … Nobody had a big lot of anything did they? you were short of things did you? MB: You didn’t expect more? MB: Just everything by hand, in the scrubbing tub? had a good few bairns, but I had a wringer. You know a wringer? MB: A double sink, yes and a scrubbing board? MB: Different expectations then though wasn’t there? MB: A different world, ye it is. Do you think it’s improved? no as good as it was. MB: Would you want to tell Lynn in what ways is it not so good? people of different ages. We don’t do enough of it. Previous Article Temporary brick kilns erected during construction of buildings or structures. Next Article Oral testimony - Wemyss Brick Company. Found in Balgonie, Fife. 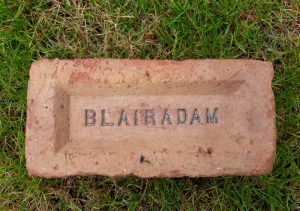 Blairadam Brickworks, Kelty, Fife. . . . . 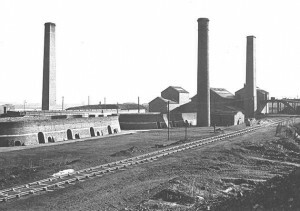 Oral testimony – Wemyss Brick Company. Found Stoneywood, Bonnybridge A slight variation on another similar marked brick I have. 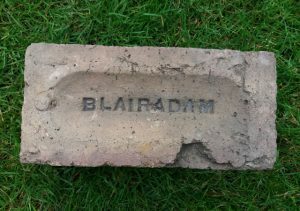 Blairadam Brickworks, Kelty, Fife. . . .
Found Guardbridge area. Round frogged version. 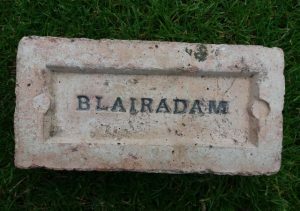 Blairadam Brickworks, Kelty, Fife. . . .
Found Jedburgh, Scottish Borders Blairadam Brickworks, Kelty, Fife. 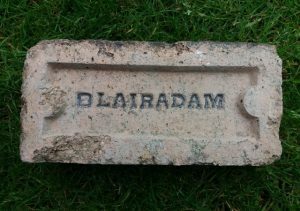 . . . .
Found Lochgelly, Fife Blairadam Brickworks, Kelty, Fife. 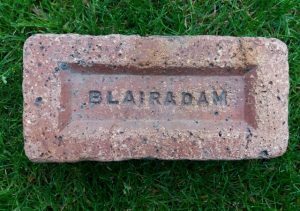 . . . .
Found Dundee Blairadam Brickworks, Kelty, Fife. . . . .